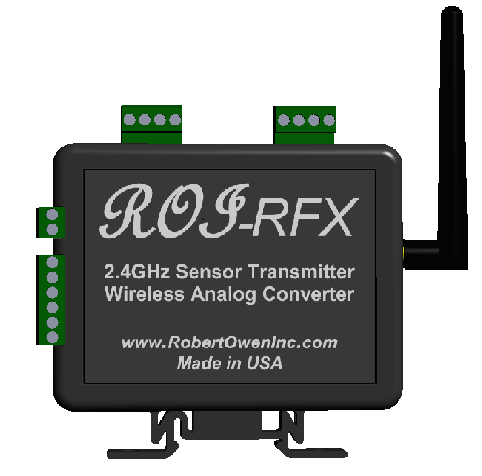 WIRELESS 4-20mA TRANSMITTER MONITORING - Robert Owen Inc. The ROI-RFX-MA is a simple to use Windows compatible 2.4 GHz RF wireless remote sensor transmitter monitoring system. Using the ROI-RFX-MA allows you to; remotely monitor & record sensor transmitters over distances of up to 1 mile/1.6 km, using industry standard 4-20mA sensor transmitters. Remote sensor measurement or sensor profile recording is simple; data can be updated real time directly into Excel. Total transmission distance can be extended with additional units, as well as allowing an increased number of sensors. Remotely read sensors using a PC. Remotely record environmental conditions with industry standard 4-20mA sensor transmitters. 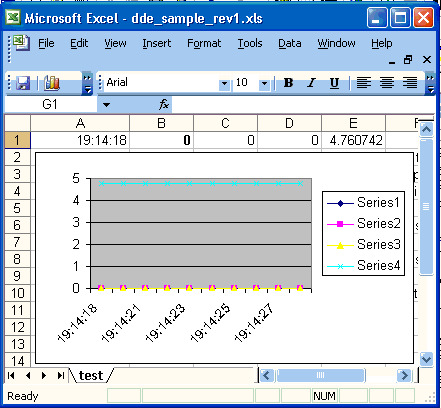 Excel automatically updates real time with sensor measurement data. Sensor data can be used within Excel to perform real time calculations, display continuously updated status on graphs, etc. Monitor 4 sensor transmitters per unit. Multiple units per system, expandable as needed.